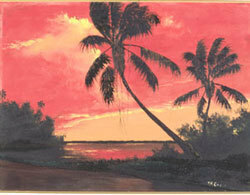 The Highwaymen are a group of artists, all of African-American descent and living in the Indian River area of Florida. 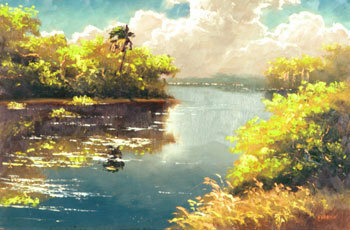 Most are still living, some are still painting. 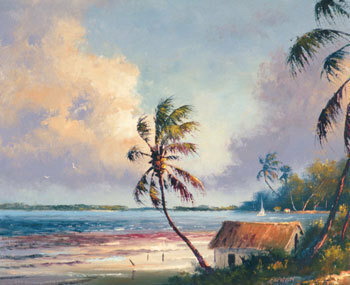 Their artwork is recognized as the beginning of Florida’s contemporary art tradition. all the participants have been identified and most are still painting. 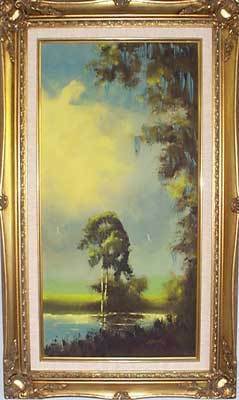 The person who must receive credit for mentoring the group of young black men (one woman) now known as the Highwaymen is A.E.“Bean” Backus, now deceased, of Fort Pierce. Known as the “Dean of Florida landscape painters” Bean’s character was perfectly suited to encouraging these teenage youths in the segregated south of the 1960s. 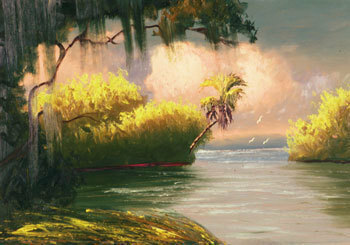 Arrangements can be made to have the paintings picked up by you or delivered by MOFAC. Freight or delivery charges and wall-to-wall insurance coverage are the responsibility of the renting agency. 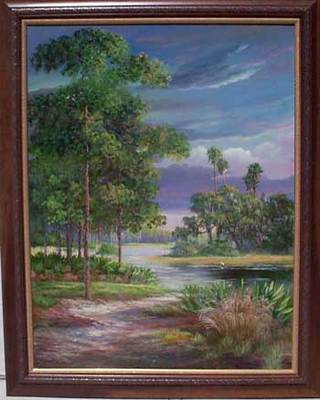 The rental fee is $1,000.00 for 20 paintings for 30 days. 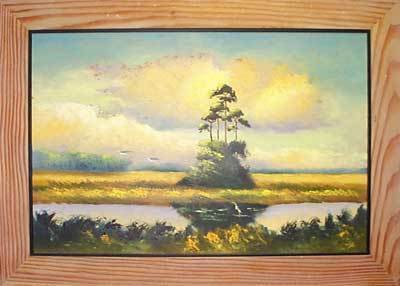 Paintings pictured below are samples to choose from. 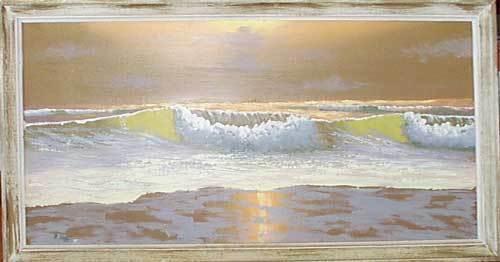 Some paintings may not be available at estimated time of rental.